Moving in Hillsboro Beach, or any other Floridian suburb, doesn’t have to be the back breaking task you are expecting. As Broward County’s premier local moving company, we are able to offer residents and commercial business owners easy moving solutions at affordable rates. With perks like packing services and storage options, there is no reason to stress about a local move. Our local moving packages come in all shapes and prices, making it a breeze to choose one to suit your circumstance. This may be a local move in Hillsboro Beach, but your dishes are not going to pack themselves. To make this move as stress free as possible, consider a full service moving package. With benefits like a free month of storage, and gifts like packing boxes, you can easily afford to indulge in this service. Plus, if your local move is in a 100 mile radius, we’ll discount the deal, giving you even more incentive to leave all the hard work to us. Leave all the heavy lifting to us, while you focus on turning your new Hillsboro Beach house into your home. Figuring out the logistics of a commercial move in Hillsboro Beach can be exhausting. You need to consider any loss of business while you move, not to mention the cost of the move itself. Our services make full service commercial moving well worth the investment, as we go to great lengths to have your enterprise back up and running as fast as possible. With the affordable rates and stellar services that Orange Movers provides, your business can’t afford to make a commercial move without us. Your home or business may have some special needs, like oversized equipment or expensive art work. Even a pool table can be an issue to move for an inexperienced moving crew. We are specialists at these special circumstance local moves, taking the time to get your most valuable possessions to your new location in one piece. If you have concerns about how to safely move some of your possessions, call our offices for a free estimate and peace of mind. We are a premier commercial and residential moving company, operating in Hillsboro Beach and all over Southern Florida. Our services extend way beyond the “guy with a truck” to provide you with packing options, supplies and even a state of the art storage facility. Don’t have enough space for your stuff in your new Hillsboro Beach home? Let us pack it up and keep it safely secured for you. For short or long term storage solutions, Orange Movers is your one stop provider. Make your moving plans with us, and not only do you get stress-free moving, we’ll give you some freebies to go with it. Those ten packing boxes are going to come in real handy, as will the use of our storage facility for a month. You’ll also find great use for all of that money you saved from our local move discount. We are your best choice for moving in Hillsboro Beach if you want great rates, outstanding service, and some free stuff to help make moving go smoothly. Don’t be fooled by the seemingly low price of a do it yourself moving plan. Rental trucks require insurance, fuel, and someone who knows how to drive a big and heavy truck. Plus, there is your time and energy to take into consideration. Let our professional movers deal with all of that, for virtually the same cost. Our rates are competitive, even to the basic rent a truck moving plan, making full service moving in Hillsboro Beach that much more of a sweeter deal. Over half of our business is coming from referrals and repeats. This says a lot about our customer satisfaction. 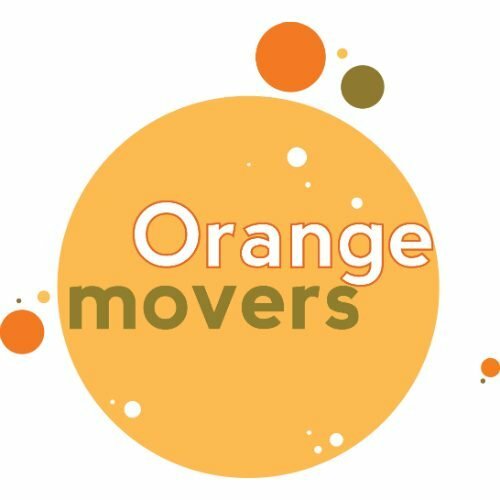 Orange Movers is a local moving company that you can trust, not only to get your gear where it needs to go, but also to be honest and fair in pricing and services. Our reputation is our best asset, and we go to great lengths to protect it. That’s why you are not going to find a better local moving deal in Hillsboro Beach, or a more professional team to get the job done. Our transparency in pricing lets you make an accurate budget for your local move, and save you money in the process. Put the money you save to the side, and take the time to enjoy the sun in Hillsboro Beach. Call us now to see how much money you’ll have left to splurge when you lay your blanket down on the sand.